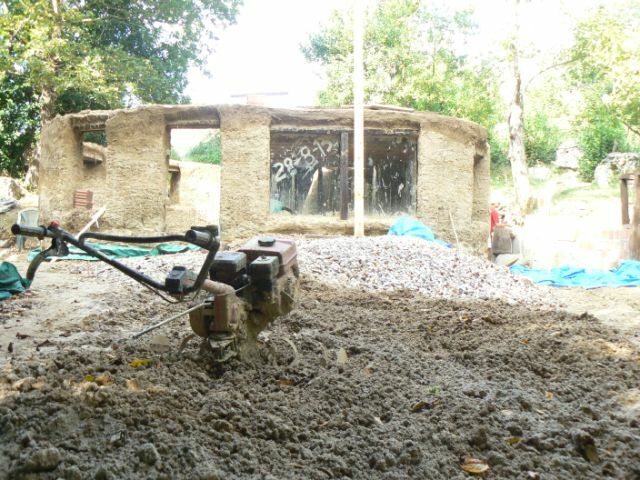 Last summer I worked in a cob house building project in Spain. What I've found, to my Dutch amazement, is that many Spanish people hardly speak English. say rude things in Spanish to you, even turn around and walk away.... huhhhh? It takes at least 30 minutes extra to find out about how to travel by train or bus, due to this condition. language barrier with male busdrivers and ticketoffice men in uniform. Spanish women don't discuss things with men, they just tell them what to do and wink at them energetically. only whimpered for 2 weeks for bruising my shoulder and ribs.